Apple's latest operating system comes with a number of business-friendly features, and will be released next week. Apple has taken the wraps off the latest version of its iOS mobile operating system, iOS 11. 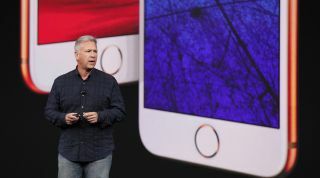 Shown off at the company's event yesterday which also saw the arrival of the iPhone 8, iPhone 8 Plus and iPhone X, iOS 11 offers another significant upgrade for users of the company's mobile devices, including a number of tools that should benefit workplace users. This includes a major update to the Siri voice assistant, which now supports "on-device learning" which Apple says will allow the service to become more aware of the user's habits and preferences. For example, if you receive a message asking where you are, Siri can immediately reply with your current location. Siri, which is now available with both male and female voices, now also offers native translation services, supporting English to Chinese, French, German, Italian and Spanish. The Apple Pay service is also getting an upgrade, allowing users to make peer-to-peer (P2P) payments through a new iMessage app, with authentication carried out using Touch ID biometrics. iPad workers will also see a number of new features which should boost productivity, with Apple revealing a new dock that can be accessed even when you're in an app, a Drag and Drop tool and wider support for the Apple Pencil - all of which should help boost usability for a number of popular apps and services. Originally revealed at Apple's WWDC event back in June, iOS 11 is set to launch on September 19th alongside the iPhone 8 and 8 Plus, both of which will come pre-loaded with the new software - although any users keen to get their hands on the version early can download a beta edition onto their existing devices now.